The following is a summary of crimes that have been reported in the Central Etobicoke area during the previous week. These reports are collected from the Weekly Crime Indicators map published by the Toronto Police Service. If you have seen or heard anything suspicious, or have any information about one of these crimes, please contact the Police. By standing together as a community and looking out for our fellow neighbours, we can dissuade these types of crimes from occurring where we live, where we work and where we raise our families. Robbery near Antioch Dr. / Dalegrove Cres. Break and Enter near Acorn Ave. / Montesson St. Break and Enter near Greenfield Dr. / Paulart Dr.
Robbery near Bloor St. West / Old Mill Trl. Auto Theft near Kingsway Cres. / Queen Marys Dr.
Auto Theft near Princess Margaret Blvd. / Palace Arch Dr.
Robbery near Martin Grove Rd. / Hedges Blvd. Robbery near Princess Margaret Blvd. / Lloyd Manor Rd. 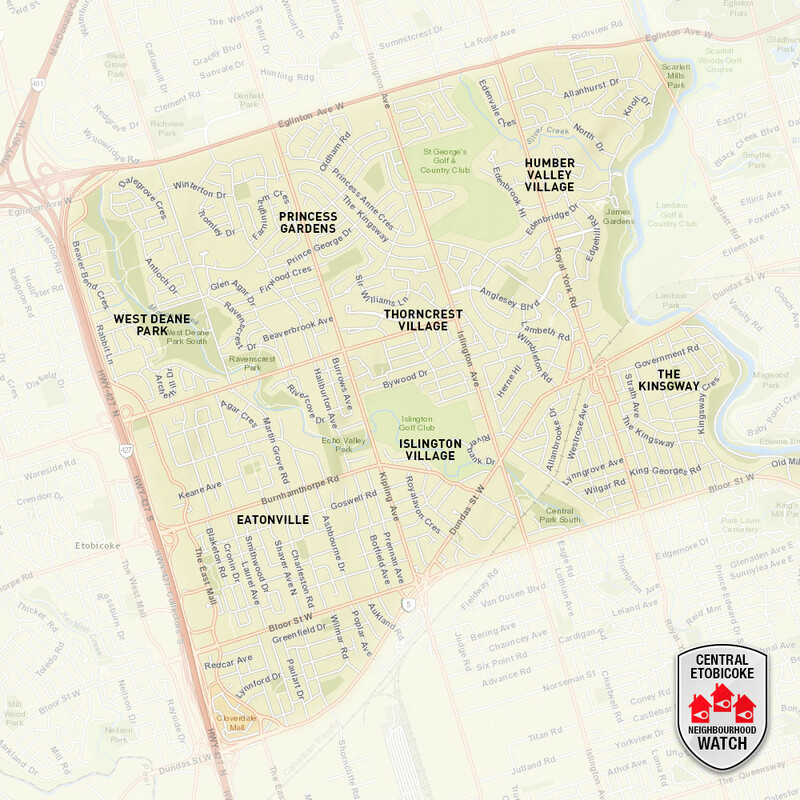 Thefts from Vehicles: There was also 1 reported theft from a vehicle last week, near Kipling Ave. and Bloor St. West. Please note, that thefts from vehicles tend to be under-reported. If you have had something stolen from your vehicle, please report it to the Police. Disclaimer: The above addresses do not show the exact locations of occurrences, as incidents on the Toronto Police Service’s Crime Indicators Map have been randomly offset in order to protect victim privacy. The purpose of this report is to give community members more awareness of crime events in their area and to emphasize the importance of reporting such crimes.